Let’s create and preserve something beautiful together. John S. Miller is a Denver-based full-time commercial photographer specializing in fashion, apparel, accessories, portraiture and food/beverage. John’s work has appeared in publications including Westword, 303 Magazine, and Mile High Sports Magazine. 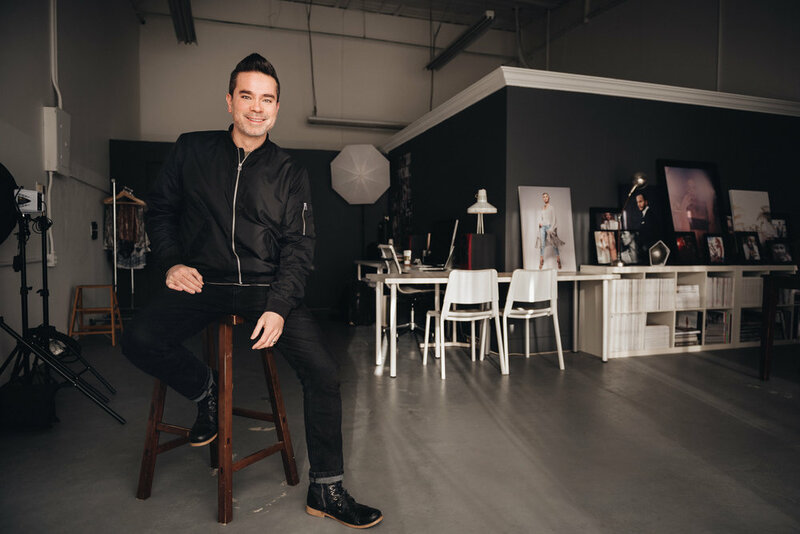 His clients have included: Pure Barre, Amelia Rose Earhart, Nifty Genius, ARTA Tequila, Venetia Vodka, Original Hardware, Kadyluxe, Aspen True, and Icelandic Designs. Prior to full-time photography, John studied music production and holds a Bachelor of Science degree in Music Engineering from the University of Colorado at Denver and also studied at the Lamont School of Music at the University of Denver. John grew up as the son of a beauty salon owner and restaurateur mother and a computer engineer father. The influence of both art and science cultivated a visual-arts aesthetic and work ethic that allows John to translate high-level concepts into powerful images. John’s desire is to help you succeed by making you look good and to do so with clarity, intentionality, and precision. He is a well-connected strategic thinker, problem solver, and agile creator. John’s heart belongs to his beautiful wife, Amanda, and his three incredible children - Hannah, Jaxon and Ava. He digs deep into the passions of his family and thrives on seeing them smile. His “Recently Played” list includes Broods Radio on Pandora, The ONE Thing Podcast, and Parks and Recreation. At some point Whole30 will come up and you’ll probably talk about his hair.